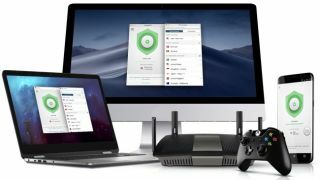 It's all very well reading our guide to the very best VPN providers, but we know that - just like any tech gadget or software - you probably just want to to know what the most attractive deals are right now. Well if that's the case, you've come to the right place and there are some great discounts floating around right now. Below is the curated list of the most impressive VPN deals you can get in the world at the moment, full stop. Some are just generally a really low price, others may be a limited time discount. And there are even a couple of EXCLUSIVE prices in there too that are for TechRadar readers only. For the most part, you just won't find a lot of these offers by going directly to the provider's website. But this isn't about solely the price and we only recommend deals from VPN providers that we really rate. Which is why the ExpressVPN deal is at the top - it's a great price on our #1 favorite VPN. Whether you plan to use your VPN to protect your privacy, watch Netflix on holiday or remain anonymous while you surf online, you will find the perfect VPN offer for you in our bargain sales. And if you're located somewhere outside the US, don't let the $ signs put you off - that's just how most providers display their pricing, but can still be purchased from anywhere. With fast speeds, 24/7 live chat, and best-in-class encryption, ExpressVPN is TechRadar's #1 trusted offshore VPN for privacy and unblocking content worldwide. Get it today with a no-hassle 30-day money-back guarantee, a massive 49% discount off suggested retail price AND 15 months for the price of 12. Fantastic value. NordVPN's fantastic discount was supposed to finish ages ago - it originally reared its head for Black Friday 2018! Nord is offering a massive 75% discount off the RRP of premier protection when you buy three years' worth of its award winning VPN. That makes this one of the most affordable VPN deals out there. We must admit that we're more than a little bit sceptical about so-called 'World VPN Week', but that soon dissipates when VPN deals as good as this one start to appear from IPVanish. They've knocked ridiculous 73% off its normal price that takes its top-tier protection down to less than $80 in total for 24 months of VPN. CyberGhost is a pretty affordable VPN at the best of times, at an effective price of $2.75 a month. But now that has been extended across 36 months, which means your next three years of VPN is sorted for less than $100. TechRadar readers, get 25% off VyprVPN annual plans ($43.13 USD for 1 year). VyprVPN is a fast, highly secure VPN without third parties. Enjoy unlimited data usage and up to three simultaneous connections. Get this superb VyprVPN offer here. PureVPN doesn't quite make the list on top 10 of the very finest providers, but it's hard to argue with its pricing. Only $69 for two years of VPN access. That equated to less than three dollars per month and a lovely 74% saving.